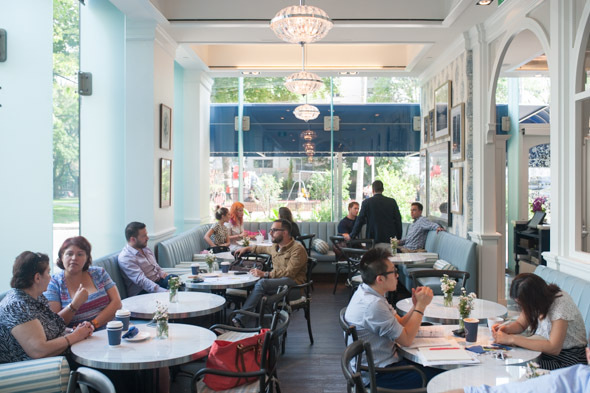 Colette Grand Cafe is the newly-opened restaurant at the base of the Thompson Hotel . 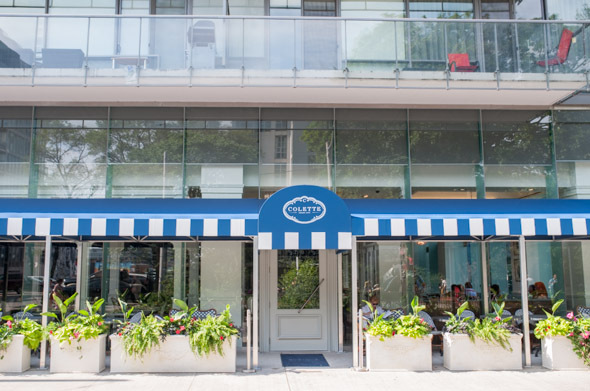 Taking over from Scarpetta , the new 150-seat restaurant operates independently from the hotel, helmed by the Chase Hospitality Group - expect the same lavish service and seafood-oriented menu as the namesake restaurants in the Financial District. 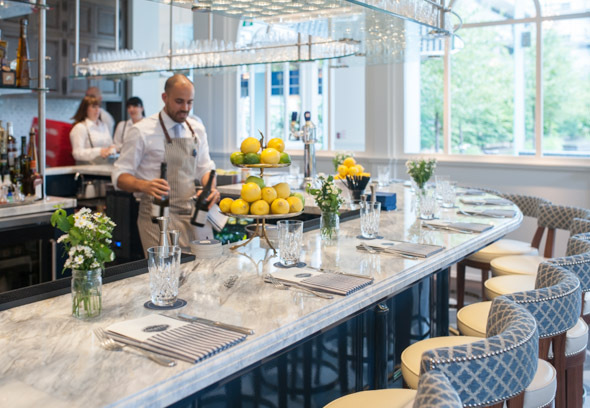 The interior, designed by Gianpiero Pugliese of AUDAX Architecture is divided into areas for a Parisian-style bakery cafe, bar and library lounge, upscale dining room and wrap-around terrace decorated with topiaries and shaded by scalloped valances. A sculptural pavillion in the back, draped with fabrics, offers al fresco dining, when weather permits. 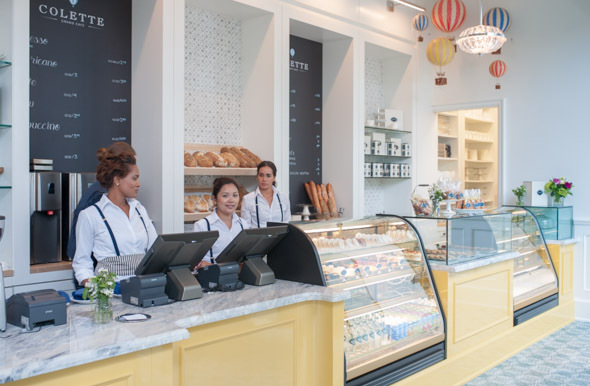 The cafe, with eastern exposure, is a sun-soaked spot for morning espressos and house made viennoiserie. Petit fours and delicate macarons fill the dessert cases, while baguettes cool on the back counter. There's plenty to swoon over, though going overboard can (as I discover) be detrimental to your pocketbook. Le menu is an all-star lineup of French favourites; tartare, frog legs, steak et frites, and foie gras. 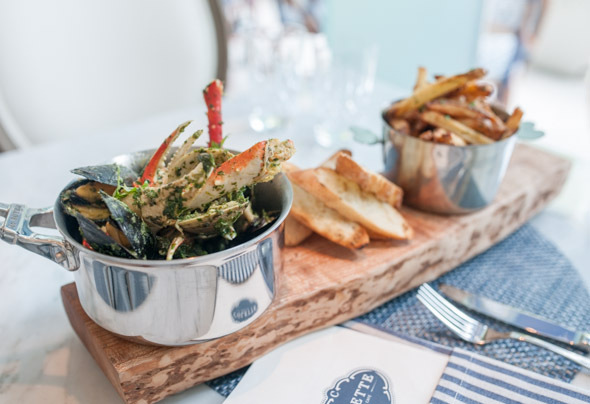 There's no moules et frites, but rather an upgraded stand-in, Shellfish Mariniere ($34) with mussels and clams, presented with crab claws posed in a come hither gesture. Herb-tossed fries come accompanied with a pot of aioli, while a pile bread is supplied to mop up the fragrant Dijon wine sauce. The tartare de veau ($15), or hand-chopped veal, is supple and buttery. It's layered with a herb pistou, freshly grated horseradish and crowned with a crumble of pale egg yolk and fried capers. Dreamy desserts invite diners to stay and and linger. 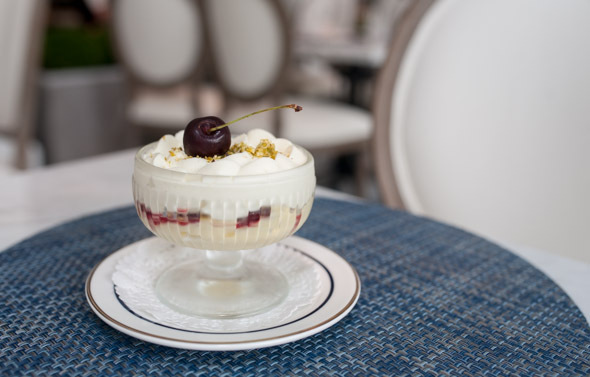 A silky rice pudding ($10) features toasted rice and is layered with black cherries and peaks of mascarpone for a decadent take on the comforting dessert. A floor-to-ceiling wine cabinet displays mainly French bottles selected by sommelier Jay Whiteley. 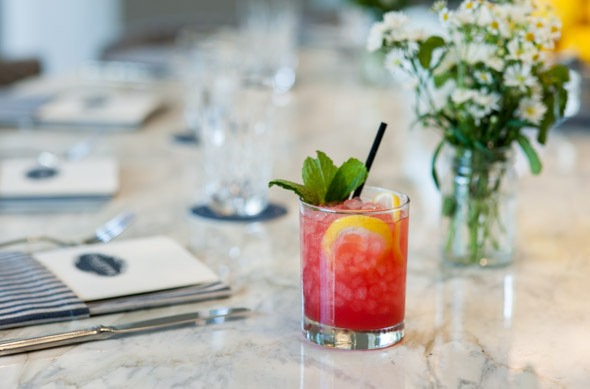 Premium cocktails like the Jolie ($16) are thoughtfully crafted - this one with tequila and aperol, sweetened by honey, agave and raspberries. The cafe at Colette opens daily from 7am to 6pm, while the restaurant operates weekdays from 11:30am and on weekends from 11am.